OCTOBER 25 will now be designated as Larry Itliong Day in California, following Gov. Jerry Brown’s signing of a bill that called for the annual proclamation honoring the late Filipino farm labor leader. Introduced by Assemblymember Rob Bonta (D-Oakland) — the first and only Filipino-American elected to the state Assembly — AB7 sought to commemorate Itliong on his birthday, October 25. “The accomplishments and contributions of Larry Itliong should be properly memorialized within the history and culture of the United States of America. Larry Itliong deserves proper recognition for his numerous sacrifices in the name of justice and the suppression of severely inadequate working conditions,” AB7 stated. Itliong, originally from San Nicolas, Pangasinan, migrated to the United States in 1929 at the age of 15, and worked as a migrant farmworker in Montana, South Dakota, Washington and California, where he saw the plight of other labor workers, especially Filipinos. 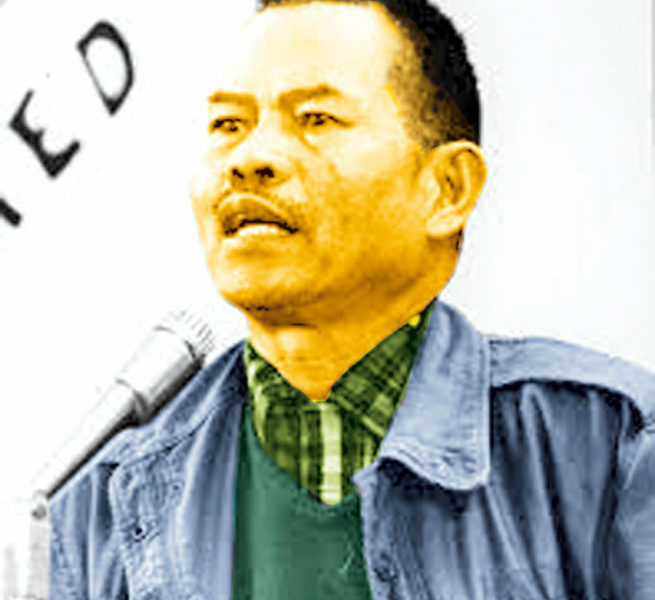 As a leader of the Agricultural Workers Organizing Committee (AWOC), Itliong is remembered for sparking the California farm labor movement in 1965, organizing an eight-day strike with 1,500 Filipino grape workers in Delano. The boycott called for increased wages and better working conditions for the farmworkers. As the Asian Journal previously reported, the bill passed in the Assembly on April 9, and passed in the Senate on June 18 — both with unanimous, bipartisan support. It was then approved by Brown on June 30. “By signing AB 7, Governor Brown guarantees that Itliong’s work and legacy of fighting for justice, opportunity, and equality will be properly honored for generations to come,” Bonta said. The participation of Filipino-Americans in the farm labor movement has a personal connection for Bonta, as his parents organized farm workers in Kern County. Sharing these stories remains one of his advocacies while in office. 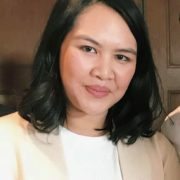 One his first actions in office was the introduction of AB 123, which called for providing students with a more complete account of California’s farm labor movement that included Filipino-American leaders. Bonta also added that the farm labor movement extends beyond just the Latino community and celebrating Itliong recognizes how Filipinos and Latino labor leaders banded together. Under Itliong’s leadership, AWOC and the National Farm Workers Association, led by Cesar Chávez and Dolores Huerta, came together to form the United Farm Workers of America. In 2010, the City of Carson became the first in the United States to issue a proclamation to dedicate a day to Itliong; Los Angeles County shortly followed with a resolution. Elito Santarina, mayor pro tem of Carson, lauded Brown for signing the law. “We are looking forward for another big celebration of the Larry Itliong Day with the participation of numerous Fil-Am oranizations in the southland. I am also extending my gratitude to Assemblymember Rob Bonta for his exemplary leadership in this state recognition of Larry Itliong. We will see to it that schools in Carson will know more about Larry Itliong and hold events to remember him,” Santarina said. In 2013, Carson City Council passed a resolution to celebrate Larry Itliong Day every October 25, and other recognitions for the labor leader followed. The same year, Governor Jerry Brown signed AB 123 into law — also authored by Bonta — requiring state curriculum to include the untold contributions of Filipino-Americans, like Itliong and Philip Vera Cruz, to the farm labor movement in California. Alvarado Middle School in Union City was renamed Itliong-Vera Cruz Middle School, becoming the first school in the country to be named after Filipino-Americans. And in Historic Filipinotown, the Pilipino Workers Center and the Little Tokyo Service Center opened the Larry Itliong Village, a housing development that provides community spaces and 44 units of affordable housing. Itliong’s son, Johnny, who serves as the director of the Larry Itliong Foundation for Education (Life) also welcomed the news of the law, after years of fighting for the recognition of Filipino-American labor leaders. “As his son, I am personally touched by this news. It’s been many years of wondering when this would happen; I’ve spent many years asking when people would recognize what the manongs have done. This means a lot for my kids who are now starting to understand who their grandfather was. This means a lot to the countless immigrant youth who know first-hand the meaning not only of struggle but also the value of self-advocacy,” he said in a statement. AB 7 received support and endorsements from the Alameda Labor Council, AFL-CIO; AFSCME, AFL-CIO; Asian Americans Advancing Justice; Asian Pacific Environmental Network; California College and University Police Chiefs Association; California History Center Foundation De Anza College; California Immigrant Policy Center; City of Berkeley; Eric Garcetti, Mayor of Los Angeles; Filipino American Coalition for Environmental Society; Filipino American National Historical Society, Santa Clara Valley Chapter; Filipino Senior Citizen Association; GK 1 World Foundation;  Little Manila Foundation; Philippine National Day Association; Philippine Weekend, Inc.; San Francisco State University; and Yerba Buena High School.